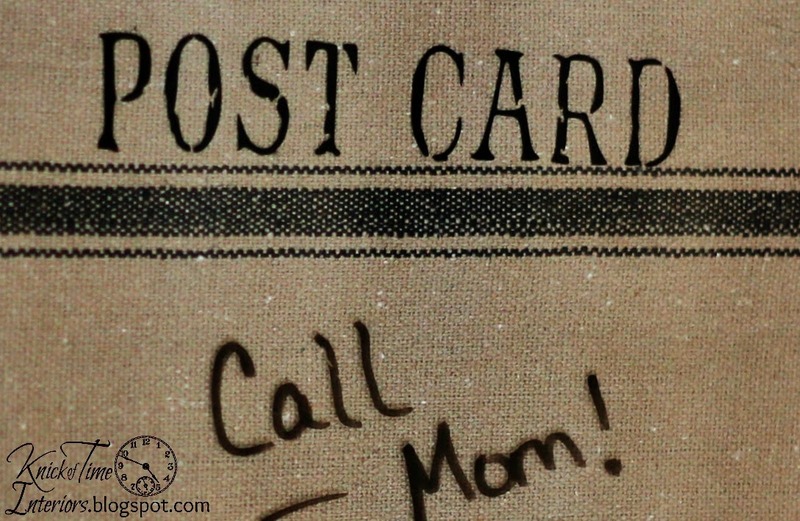 I love antique postcards, and created a dry erase board using the text from the back of one to create a dry erase board. 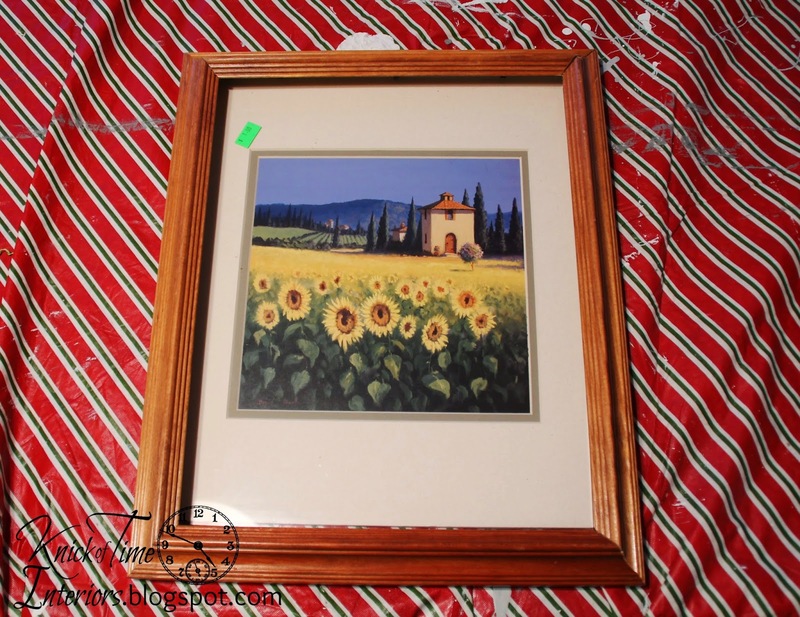 The photos are fairly self-explanatory, but basically, I painted the frame of a thrift store photo frame with matte black paint. 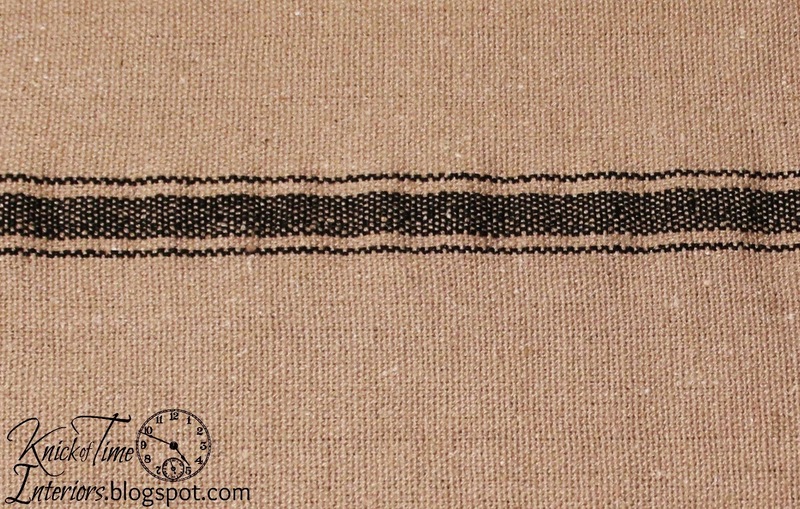 After falling in love with the red stripe fabric I used for our Christmas stockings, I wanted to get another color, so I ordered the tan with black stripes fabric. I love the nubby, authentic look and feel of it. They still have this fabric available, which amazes me, because they sold out of it the first time they offered it. 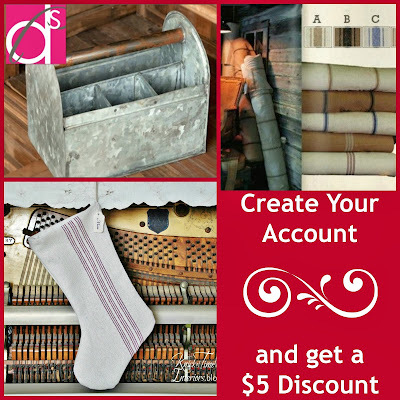 If you’ve never ordered from them before, you can get $5 off your first purchase by creating an account with them here, and the fabric is available here (the discount can be used on anything – not just the fabric). 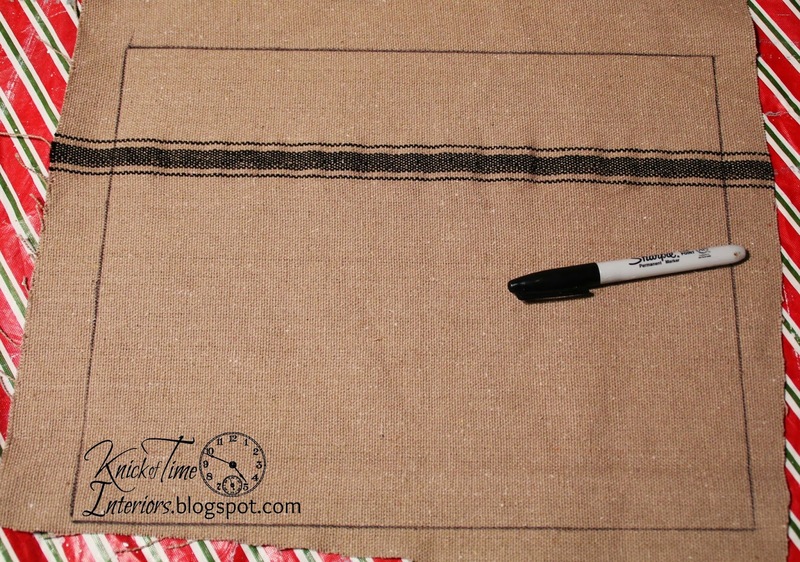 I traced the mat insert shape onto the fabric and cut it out. I glued it to the back of the mat that came in the frame. I opened this image in my Silhouette machine, and used the “trace” function so I could create a stencil of it. 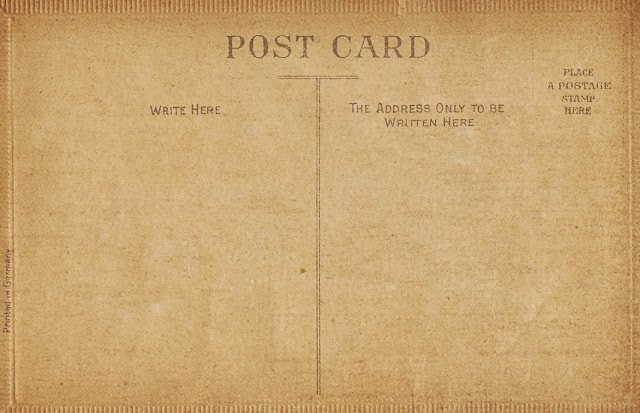 I removed some of the words, leaving just “Post Card” and “Write Here”. Because of the brown texture of this postcard, the silhouette “reads” that texture and creates about a bazillion little dots. Obviously, I didn’t want it to cut a bazillion little dots, so I used the erase function to remove those. I shared quite a few antique postcards (the back sides like this one) here. After cutting out my stencil, I cut it just below the Post Card wording, so I could place it on the glass straight above the black lines. After taking this photo, I realized that I should have cut the stencil in reverse, because I wanted the painted words on the back of the glass, not the front. I cut a new stencil and did the same thing again, but didn’t take a new photo, so if you do this, make sure your words are in reverse. You don’t want the painted words on the front of the glass, or they could get damaged when wiping the glass. After placing the Post Card wording on the glass, I did the same thing with the smaller “Write Here” words, then used black spray paint over the vinyl. I let it dry for just a few seconds before removing the vinyl. Done! 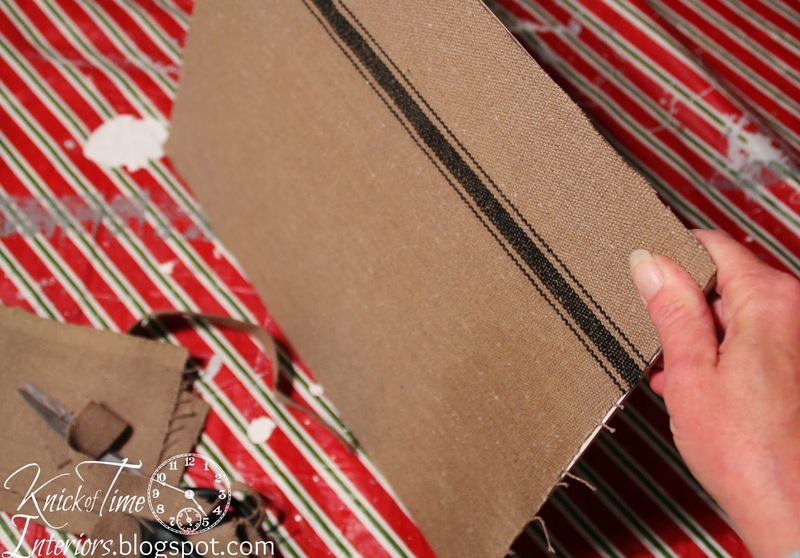 Since the front side of the mat had an attached picture on it that now showed on the back side, I just decoupaged some book pages over it to cover that, so it looks finished, even though it’s the back side. This is such a fun idea, Angie! I can see so many possibilities…thanks for sharing! 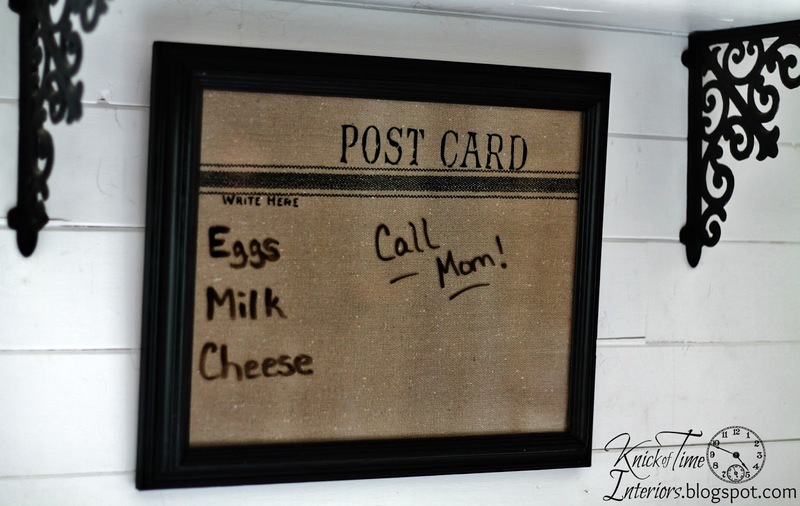 Love the combination of my fav – faux grain sack mixed with glass = write on dry erase !!! I love this Angie! I so need one of those silhouette machines. Really cute Angie! Love the postcard graphic you added. That was the perfect touch! What a great look. Very clever of you and it looks amazing. I really like how this came out – I’ve done a couple of different dry erase boards – and they’re SO useful! Another interesting project … I need to copy this one … thanks. Great project Angie! 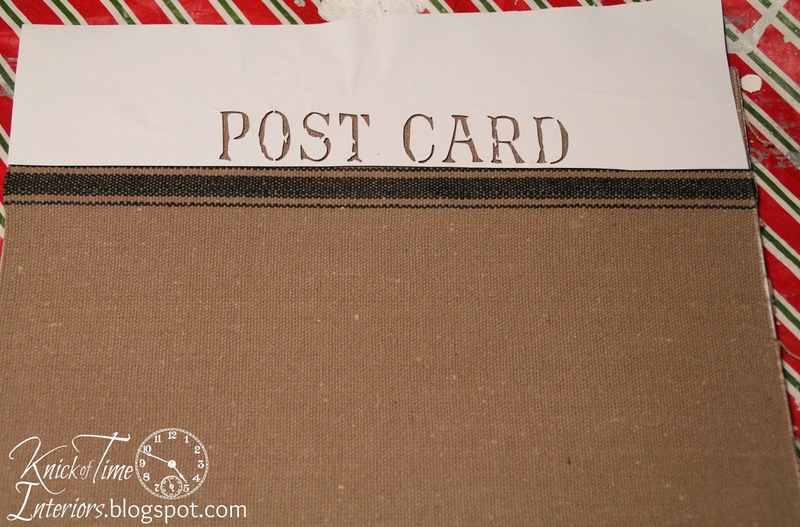 I love the grain sack and the postcard image! l.o.v.e. this project. what more can I say? Oh yes, pinned it.